Happy New Year! 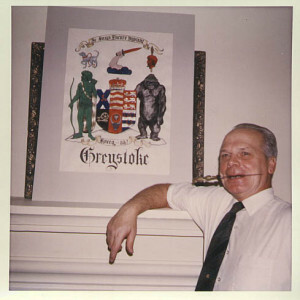 Here at Wold Newton Family.com, we’re kicking off 2016 with a classic essay (actually originally a speech) regarding Philip José Farmer‘s research into the family arms of Lord Greystoke. 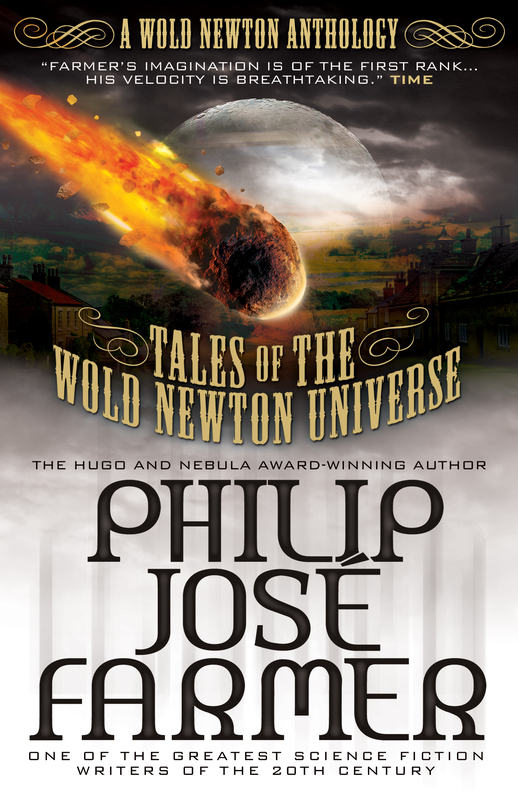 As noted below, it first appeared in print in the Burroughs Bulletin, and has since been reprinted in Myths for the Modern Age: Philip José Farmer’s Wold Newton Universe, Win Scott Eckert, ed. Austin, TX: MonkeyBrain Books, 2005, and in Pearls from Peoria, Paul Spiteri, ed. Burton, MI: Subterranean Press, 2006. The Tarzan arms were designed by Farmer and painted by Bjo Trimble (noted author of the original Star Trek Concordance). NOTE: The speech published here is not quite that given during the Dum-Dum banquet on Burroughs’ Day, September 5, 1970, in Detroit, Michigan. Some changes have been made and insertions and additions worked in due to corrections of errors on my part and a failure to resist the temptation to gild the lily. It is, however, in the main, the same speech. Ladies and gentlemen, mangani, tarmangani, gomangani, and bolgani. I’m happy to be here. Whether or not you will be happy remains to be seen. I warn you that what I am going to say has little “relevance.” I’m all for relevancy to the problems of our time. I belong to the ZPG (Zero Population Growth), have worked in the WRITE FOR YOUR LIFE campaign, and have consistently tried to combat prejudice and inhumane thinking in my writings. I’ve been working for some time on a book concerning the need for an Economy of Abundance. I’ve just finished two short stories about pollution in our times. I’m writing a novel, DEATH’S DUMB TRUMPET, about the effects of pollution twenty years from now. But you won’t be getting any of that today. Men must have hobbies, otherwise they go mad. The works of Edgar Rice Burroughs (ERB) are, to me, a gate into parallel worlds where there are problems, but none that my hero, and, therefore, me as the hero, can’t handle. There I can relax and forget, for the time being, the noisy, stinking, dusty, and hostile world that exists outside my window. And, too often, inside the window. It’s not my purpose today to justify my love for ERB’s worlds. You know why I love them, otherwise you wouldn’t be here. I propose today to inspect a very small segment of the world of Tarzan, one that has been left entirely unexplored, as far as I know. For that purpose, I’ve had some transparencies of the subject for today, the Greystoke coat-of-arms, prepared. You can observe it in widescreen color on this wall while I lecture. I furnished the original research for these arms, the first rough sketches, and the blazoning. But Bjo Trimble did the actual execution, which I consider to be superb. She took a keen interest in the project and put in much time she could ill afford in research on her own and in the actual calculations and drawings. The result exceeded my expectations; her visualizations surpassed my own. NOTE: This illustration is at present, September, 1971, scheduled to be part of the jacket illustration of my THE PRIVATE LIFE OF TARZAN. This is a biography of Lord Greystoke along the lines of W.S. 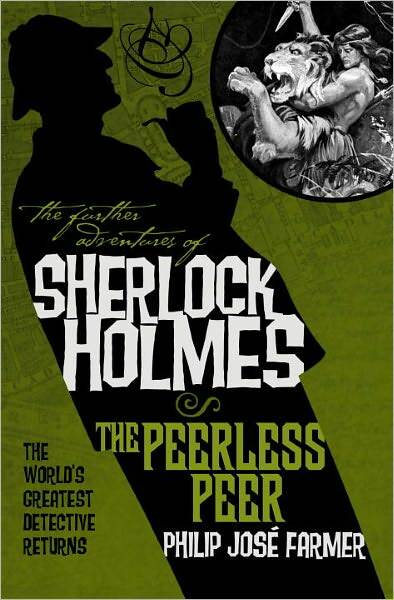 Baring-Gould’s SHERLOCK HOLMES OF BAKER STREET and NERO WOLFE OF WEST THIRTY-FIFTH STREET, and also of C. Northcote Parkinson’s THE LIFE AND TIMES OF HORATIO HORNBLOWER. The latter was issued after the Ms for the Tarzan Life had been turned in to the publisher, Doubleday. The Tarzan books describe, or hint at, many things. But in none is there any reference to the coat-of-arms of the “Greystoke” family. There is a reference in TARZAN OF THE APES to the family crest on the great ring which Tarzan’s father wore. But the crest is not described. Greystoke, as you know, is not the actual title of the noble family that engendered the immortal ape-man. Greystoke is a pseudonym used by ERB to cover the real identity of a line of English peers. 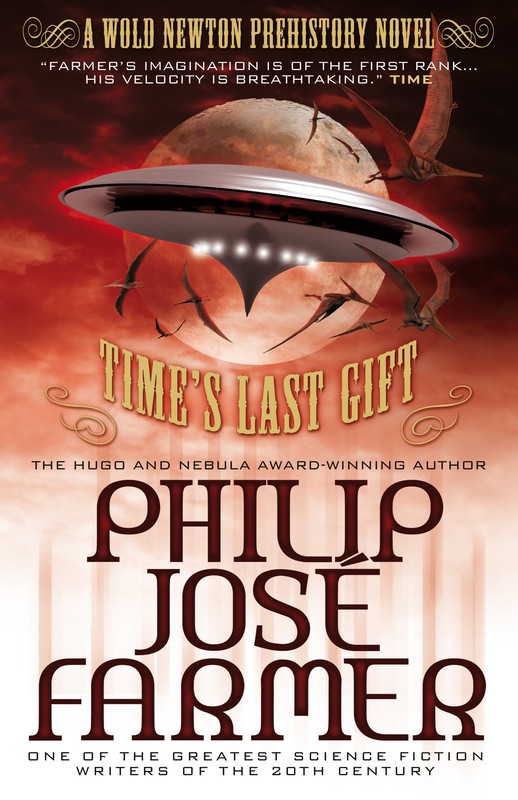 I intend to speculate about the real title. 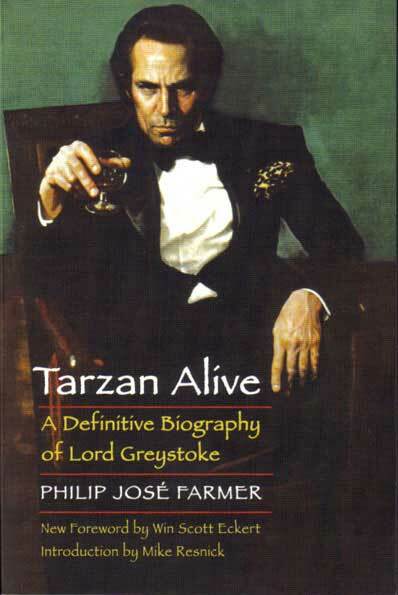 But Greystoke has been associated too long with Tarzan for any of us to be at ease in using any other title. This is the way it should be, and this is why I have placed the legend, GREYSTOKE, under the arms. However, though Greystoke is not Tarzan’s real title, he is descended from the de Greystocks, the ancient and distinguished barons of Greystoke, Cumberland, England. I refer you to Burke’s EXTINCT PEERAGE, Nicolas’ A SYNOPSIS OF THE PEERAGE, Cokayne’s THE COMPLETE PEERAGE for their history. This descent of Tarzan through several lines of this family is one of the reasons ERB chose Greystoke for a pseudonym. Now—the blazoning, I’ll give it to you as it would be in Burke’s GENEALOGICAL AND HERALDIC HISTORY OF THE PEERAGE, BARONETAGE, AND KNIGHTAGE. Burke’s PEERAGE (to use its short title) has over 2475 pages of very small, closely set print devoted to genealogy. After the blazoning, I’ll explain the technical terms I used. Then I’ll go into the history of each family represented here. I’ll demonstrate that Tarzan, king of the tribe of Kerchak, chief of the Waziri, a member of the English peerage, lord of the jungle, demigod of the forest, has a noble genealogy indeed. In fact, no one in Europe, not even Queen Elizabeth of Great Britain, can boast of a more ancient and varied lineage. Quarterly of six. Quarterly originally meant the four equal parts into which the shield was divided for showing four arms. But some people added even more, and the family of Dent, the Baronage of Furnivall, has a quarterly of ten. The Greystokes could add a hundred, if they wished, since they are descended from that many different noble families. But the shields generally are restricted to a reasonable number. Argent is a heraldic term for silver or white. Azure is blue. A saltire, or St. Andrew’s cross, is a cross in the form of an X. The St. Andrew’s cross is usually found in the field of a Scots family but not always. Gules is red. In triskele indicates a figure composed of three usually curved or bent branches radiating from a center. Triskele, or triskelion, is from a Greek word meaning three-legged. Or is gold. A bar is a horizontal division of the shield occupying one-fifth thereof. Wavy means undulating. Passant is a term for beasts in a walking position with the right forepaw raised, although I’ve seen the left front paw raised, for instance, in the lion passant of the crest of a branch of the English family of Farmer. Guardant is front or full-faced. In pale indicates that the charges, in this case, the lions, are arranged beneath one another. Per pale indicates the particular manner in which a shield or field or a charge is divided by a partition line. Thus, the lions, in pale, per pale or and argent are arranged in a vertical column and each is half-gold and half-silver, as you see. Sable is black. A torn is a heraldic spinning wheel. Torn was an archaic English word for the early type of spinning wheel used in the late 13th century. A wild bull’s head cabossed. Cabossed, or caboshed, indicates the head of any beast looking full-faced with nothing of the neck visible. “Of the first” means that the color is the first one mentioned in the blazoning. In this case, of the first means gules. The eyes of the bull and the wild man are bright red, giving the Rutherford charges a fierce and sinister look. Making the eyes red was Bjo’s idea, a stroke of genius on her part, as far as I’m concerned. Of its own kind, or proper, are terms applicable to animals, trees, vegetables, etc., when they are their natural color. A wild man’s head affrontée. Affrontée is a term applied to full-faced human heads. Barry describes the field or charge divided by horizontal lines. Thus, GREYSTOCK, barry of six, argent and azure, means six horizontal bars alternately silver and blue. Crests over coat-of-arms were originally derived from the actual crests of helmets worn by the nobles. The only term used for the crests so far not explained is embowed. (Pointing to the center crest.) An arm embowed. Embowed means bent or bowed. Regard the two supporters, the figures holding the shield up. One is dexter; the other, sinister. Dexter means the right-hand supporter. Right and left, in heraldry, are as seen by the man behind the shield. Sinister, of course, has no evil meaning in heraldry; it merely indicates the left-hand position. The savage, or woodman, or wildman, is all vert, that is, green. The upper motto is French in archaic spelling. Je Suys Encore Vyvant. Translation: I Still Live. Or I am Still Living. Or I Yet Live. “We are still alive,” was his only answer. “I am still alive,” he said as though that were sufficient answer. Thus Tarzan echoed the motto of his ancient family, the old war cry his fighting ancestors used to rally their men around them when the battle seemed to have turned against them. I probably don’t need to point out that “I still live” is also the motto of another great fighter, John Carter of Mars. The lower motto, “Kreeg-ah!” is, of course, the warning cry of the great ape. (As an aside, I’d like to suggest that it’s long past time for the great ape to be given a scientific classification. And since Tarzan’s father was the European to describe the great ape—in his diary, of course—l propose that we honor him by terming this new genus Megapithecus greystoki. This would also honor his son, who knows more of the great ape than anyone in the world, civilized or uncivilized. The lower motto, “Kreeg-ah!”, was added by Tarzan to the family arms when he assumed the title in late 1910 (according to my reckoning). The great ape supporter is also Tarzan’s idea. The original supporter was a heraldic Sagittarius, a centaur with a bow. But Tarzan wanted to honor his foster mother, Kala, and so he replaced the Sagittarius with a female mangani. This changing of supporters in a coat-of-arms for personal reasons is not unprecedented. The 10th Duke of Marlborough, for instance, replaced both supporters on his family’s arms. However, this type of arms is usually regarded as a personal coat- of-arms, a variation on the family’s, and other members of the family may use the older type if they desire. I would imagine that Korak would keep his father’s arms, inasmuch as he was also closely associated with the mangani. While I’m at it, I might as well say that these arms are not complete or even accurate from the strict viewpoint of the College of Heraldry. All of the quarters except the first and fourth should have little symbols, such as a crescent or mullet (a five-pointed star) or others to indicate that these are different branches from the main Drummond, O’Brien, Rutherford, and Greystock lines. However, the symbols for difference are not always used, and Tarzan’s noble forebears never got around to conforming to strict usage. Also, the Drummond crest, the sleuth-hound (that must be Sherlock Holmes’ crest, too) should be on the sinister side. The crests of the primary family, the Grebsons, should occupy the dexter place of honor and the center. But these crests entered the Greystoke arms a long time before heraldry became regulated by a college of heralds or by royal authority. The crests should be somewhat smaller and all placed above the shield, but, again, they were drawn thus in the distant old days, and the Greystoke family has never seen fit to change them. The headpiece you see on top of the shield is the coronet of a duke, not to be confused with the ducal or crest coronet. It has a circle, or coronet, of gold surmounted by eight golden strawberry leaves, of which only five are visible, and by the red golden-tasseled cap with the ermine under-rim you see. I know that some of you are thinking: Why the coronet of a duke? Tarzan, according to his own statement in TARZAN, LORD OF THE JUNGLE, is a viscount. And several other Tarzan books assert that he is viscount. Is he? My own theory is that he may have been a duke, a marquess, earl, baron, or baronet (a baronet is not a noble but a sort of hereditary knight), or any combination of these. But he would not be a viscount. Or, if he were, it would be only one of his titles. ERB took great pains to conceal the true identity of “Lord Greystoke. ” He would have altered the reply Tarzan really made when asked (by Sir Bertram of the city of Nimmr) what his rank was. ERB knew that Tarzanic scholars would search through the some 120-plus viscounts listed in Burke’s PEERAGE for evidence that one was Tarzan. So he directed them down a blind alley. I don’t want to go into this theory in detail at this time. But the feudal society Tarzan found in a lost valley in Ethiopia was supposed to be descended from two shiploads of Englishmen who had set out with Richard I on the First Crusade. This was in 1191, but viscount, as an English title, was not used until 1440. If Tarzan had “truly” said he was a viscount, Sir Bertram wouldn’t have known what he meant. Obviously, Tarzan did not say that. Or, if he did, seeing that Sir Bertram did not understand him, he went on to his other titles. Sir Bertram would have heard of “earl” and “baron”, since these were the only English titles of nobility extant in Richard’s time. From the above argument, we can assume, with a good amount of reasonableness, that Tarzan is an earl or baron. Given the ancientness and honourableness of his line (stressed by ERB in the first Tarzan book), the chances are that he is both. On the other hand, very few Englishmen, that is, men of Old English descent, actually accompanied Richard. Most of his crusaders were Normans, and it is doubtful that Richard had enough Englishmen to fill one ship, let alone two. (Accounting at least 60 knights per ship as a shipload.) This would mean that the people of the valley were descended from Normans and so spoke an evolved Norman. This leads to developments that I don’t have time for here but will lay out for the interested reader in THE PRIVATE LIFE OF TARZAN. It is, however, incredible that the man we know as Lord Greystoke would not be a duke. If Peter Wimsey’s father was Duke of Denver and Lord John Roxton’s father was Duke of Pomfret, then surely Tarzan must be a duke, regardless of how many other titles he holds. Don’t forget that Tarzan is referred to as a “dook” twice, once in TARZAN AND THE FOREIGN LEGION. I do have more solid reasons than this for placing him in the highest rank of nobility. But I have to expound these elsewhere, due to lack of time here. To arms. The first, first. GREBSON OF GREBSON. Am I revealing, for the first time by anyone anywhere, the true name and title of Tarzan’s family? The present Lord Greystoke wishes to have his identity stay hidden, and I respect his reasons. (Besides, I would not think of offending the Lord of the Jungle.) So I have picked a title and a coat-of-arms which reveal certain facts about him, or come close to the facts, without disclosing his genuine identity. The title and the arms are analogs. They are not the real title and arms. But they are near enough to give an idea of what the genuine items are. Following this coded lead (among many others), I hunted down and identified the real-world Tarzan. The project took me two and a half years and involved reading every word of the lineages in 2457 pages of Burke’s PEERAGE. However, all the work I put in would not have led me to the real Tarzan if I had not stumbled across a certain clue through sheer good fortune. Only a highly improbable sequence of events could permit another to follow the trail I followed. I am sorry, but I cannot supply the necessary clue, since “Lord Greystoke” himself has asked me not to. Therefore, I am compelled to suppress everything I know for sure and behave as if I were as ignorant as everybody else in the matter. I have to proceed by analogy, and if you choose to dispute my theses, you have a perfect right to do so. I will tell you one thing. Tarzan’s real title does not start with GR (as in Greystoke or Grebson). That initial letter cluster will, however, lead you to some of his ancestors and relatives in Burke’s PEERAGE. Nor does his title contain the word grey. It does contain an archaic word implying grey. I won’t tell you if the word is of Germanic, Latin, Pictish, or Celtic origin, however. Grebson, our analog family name and title, comes from the Old English Graegbeardssunu. This means The Son of the Grey-Bearded One. And who was the Grey-Bearded One? He was Woden, the chief god of the Anglo-Saxons or Old English, the same as the Othinn of the Old Norse or the Wuotan of the Old High Germans or Othinus of the continental Saxons. According to the Norse Edda, the great god had many epithets. To read off all his titles would take several minutes, so I resist the temptation. Tarzan’s real title contains an epithet for Woden, though not the one I give here, which is an analogous epithet. Note the argent field and azure saltire of Grebson’s arms. Argent and azure are Woden’s colors. Note the three drinking horns with interlocking tips. This ancient sign for Woden (or Odin) is found carved on rocks in many places in Scandinavia and a number of places in the British Isles. In Old English it would be called the waelcnotta and in Old Norse is the valknutr. It means the “knot of the slain” and stands for Woden (Or Odin) in his aspect of the god of the warriors who’ve died in battle. Hence the gules, or red, color of the drinking horns. You won’t find this symbol on Tarzan’s real shield. But you will find something analogous, if you are persistent enough and wildly lucky. Apparently, the founder of Tarzan’s family, the original Grebson, claimed to be descended from the god Woden. The Queen of England makes exactly the same claim, as you can find out by reading The Royal Lineage section of Burke’s PEERAGE. She is descended from Egbert, King of Wessex (died 839 A.D.). Egbert, like the other kings of English states at that time, Mercia, Deira, Kent, Eastanglia, etc., had a traditional genealogy which went unbroken back to Denmark of circa 300 A.D. and to the great god Woden. Those interested can refer to page 165, Vol. 1, of Jacob Grimm’s TEUTONIC MYTHOLOGY, Dover Books. I submit that a human being can’t have a more highly placed or illustrious ancestor. Second, DRUMMOND. Drummond comes from the Gaelic druim monadh, meaning back of the mountain. This Scots family is presently represented by the Earl of Ancaster and the Earl of Perth. The family was founded by Maurice, the son of George, a young son of Andreas, King of Hungary. Maurice came to Scotland in 1066 and settled there. He, in turn, could trace his ancestry unbroken back to Arpad, the Magyar chief who conquered Hungary (died 907 A.D.). Third, O’BRIEN. A prominent member of this ancient Irish family is the Baron of Inchiquin. In an unbroken line it descends from Brian Boroimhe, chief Irish monarch in 1002 A.D. and victor of the battle of Clontarf, though he himself was killed by the Danes. This line can actually trace itself back to Cormac Cas, son of Olliol Olum, King of Ireland, circa 200 A.D.
Fourth, CALDWELL, sable a torn or. Some of you pricked up your ears when I first blazoned these arms. You remembered that Tarzan, in THE RETURN OF TARZAN, used the pseudonym of John Caldwell when he was a French secret agent traveling on a liner from Algiers to Cape Town. 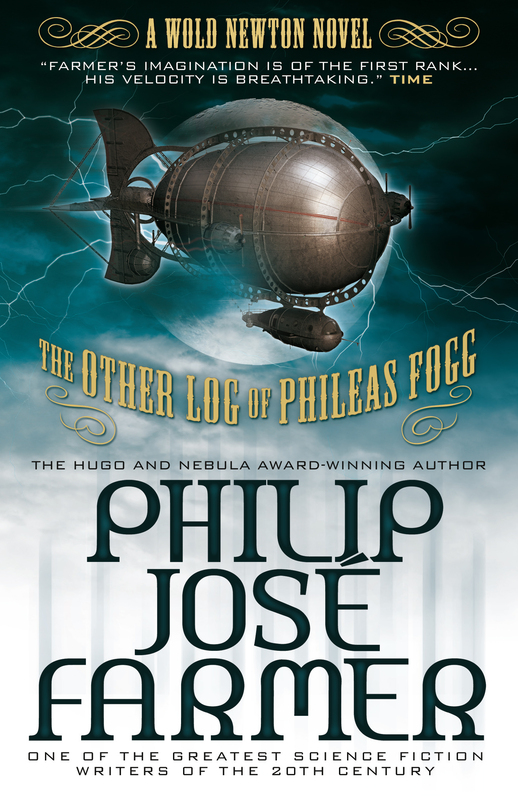 Why would he use that pseudonym? Obviously, he picked the first name that came to mind, that of his illustrious ancestor, John Caldwell. No doubt, Tarzan had been reading in Burke’s PEERAGE about the Greystoke lineage and the story of John Caldwell was fresh in his mind. Did he? ERB did not say that this particular Greystoke was an ancestor of Tarzan. That’s an assumption by some of his readers. Perhaps the slain Greystoke was a member of the genuine de Grestocks of Greystoke Castle, Cumberland. He may or may not have been Tarzan’s forefather, but I’m inclined to believe that Norman of Torn certainly was. Tarzan would certainly have the greatest warrior of the Middle Ages in his family line. The Outlaw was born in 1240 A.D. and was 15 years old when he slew Greystoke. This would be in 1255, the 39th year of Henry III’s reign. So the Greystoke whom Norman killed was probably the son of Baron Robert de Greystock (died before 1253) and the younger brother of William de Greystock. William’s son, John, was the first Greystoke summoned as a baron by writ to Parliament. This was in 1295 A.D. in Edward I’s time. This, by the way, was the first regular parliament, recognized as such. We know that Henry III finally became aware that the famous, or infamous, outlaw was his long-lost son, Richard. But Henry died in 1272, and his son, Edward I, called Long shanks, was, though a very good king for those days, proud, jealous, and suspicious. His younger brother Richard, too popular with the common people, would have been forced to flee on a trumped-up charge of treason (nothing rare in those days). By then Bertrade de Montfort his wife, had died, probably in childbirth or of disease, very common causes of fatality then. 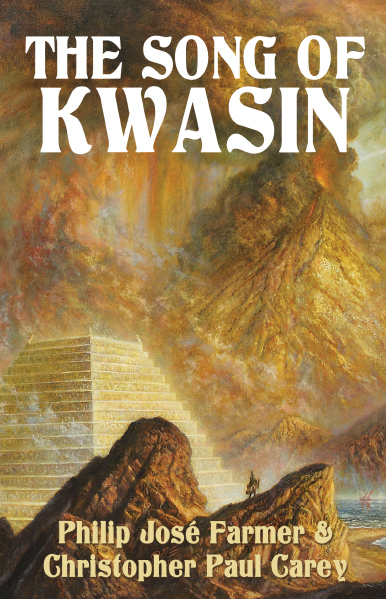 Richard would have taken a pseudonym again, that of John Caldwell, landless warrior. In the North of England he met old Baron Grebson. The baron had no male issue, and so, when his daughter fell in love with the stranger knight, he adopted him. This was nothing unusual; you will find similar examples throughout Burke’s PEERAGE. The family name became Caldwell-Grebson, though the Caldwell was later dropped. Similar examples of this also abound in Burke. John Caldwell could not use the same arms as the Outlaw of Torn, of course. So, instead of argent a falcon’s wing sable, he used sable a torn or. That he chose the torn showed he could not resist an example of “canting arms,” a heraldic pun. One, indeed, that proved as dangerous as might be expected. Edward I heard of the appearance from nowhere of a knight who bore a torn on his shield, and he investigated. The king’s men ambushed John Caldwell, and though he slew five of them, he, too, died. An obscure book on medieval witchcraft, published in the middle 1600’s, describes the case of a knight who was, for reasons unknown to the writer, slain by Edward I’s men in a northern county. When his body was laid out to be washed, his left breast was found to bear a violet lily-shaped birthmark. This was thought to be the mark of the devil. But we readers of THE OUTLAW OF TORN will recognize the true identity of the man suspected of witchcraft. This theory could be wrong, of course. I propose an alternate to consider. You may have noticed the remarkable resemblance between the Outlaw and Tarzan. Both were tall, splendidly built, and extremely powerful men. (Anybody who can drive the point of a broadsword through chain mail into his opponent’s heart is strong enough to crack the neck of a bull ape.) Both men had grey eyes. Both wore their hair in bangs across their foreheads. Neither knew the meaning of fear. 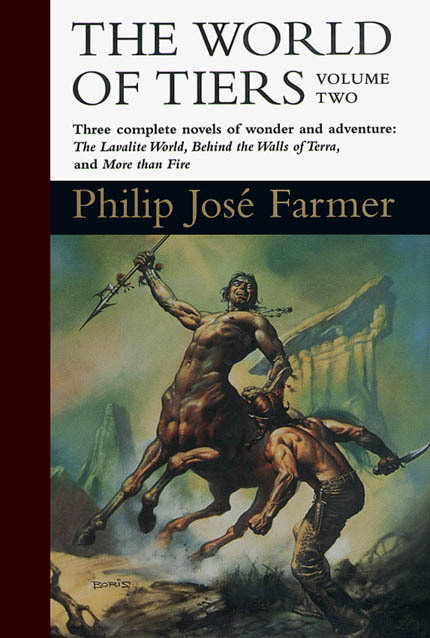 But the description of the Outlaw could also apply, except for a few minor points, to John Carter of Mars. What if the Outlaw did not die, as I first speculated, but had somehow defeated the aging process? What if, like Tarzan, he had stumbled across an elixir for immortality? During his wanderings in rural England, he came across a wizard or witch, actually a member of the old faith, who had a recipe for preventing degeneration of the body. If a witch doctor in modern Africa could have such, and give it to Tarzan, then a priest of an outlawed religion in the Middle Ages could give such to the Outlaw of Torn. Sometime during the following six centuries, the Outlaw suffered amnesia. This was either from a blow on the head (again recalling Tarzan, who suffered amnesia many times from blows on the head) or because loss of memory of early years is an unfortunate by-product of the elixir. Thus, on March 4, 1866, the Outlaw, a long-time resident of Virginia, an admitted victim of amnesia, left a cave in Arizona for the planet Mars. ERB called this man John Carter. Notice the J.C. I suggest that he may have been Richard Plantagenet, Norman of Torn, John Caldwell, and, finally, John Carter. It is possible that John Caldwell was not killed, that he slew all of Edward’s men, who actually numbered six, mangled the face of one tall corpse, and stained a violet lily mark on the corpse’s left breast. And, once again, he disappeared into pseudonymity but gained immortality as the Warlord of Mars. It’s true that the Outlaw’s hair was brown and Carter’s was black. But hair gets darker as one ages (until it starts to gray), and 626 years are long enough for anybody’s hair to get black. If this theory is correct, the Outlaw of Torn is not only John Carter of Mars but Tarzan’s ancestor by about 600 years. 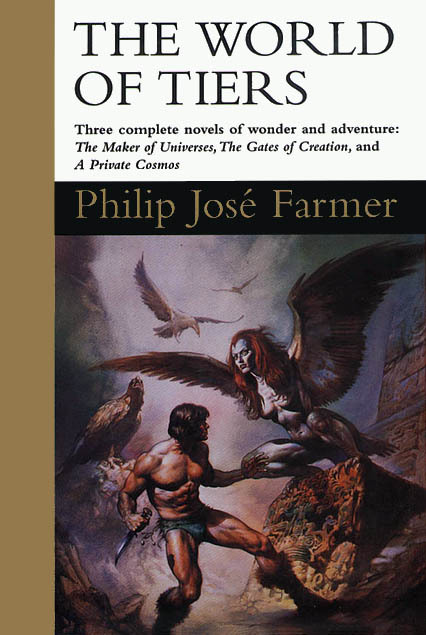 But John Carter may have been the ancestor of Tarzan many times over. 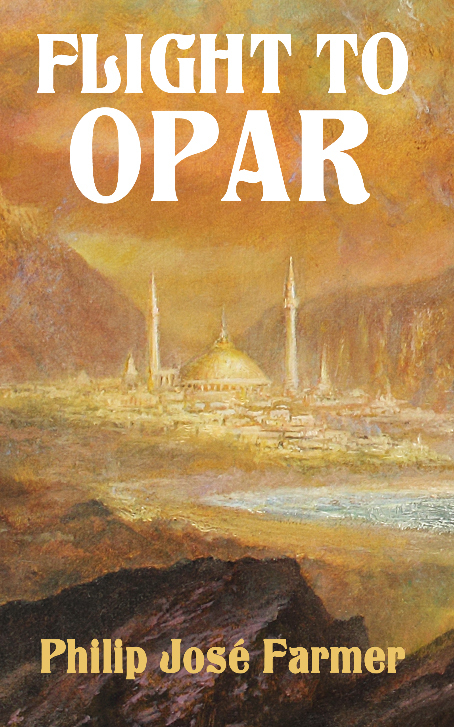 He may have followed the fortunes of his descendants with keen interest and, every now and then, remarried into the line and begat more powerful, quick thinking, fearless, grey-eyed men and fearless grey-eyed beautiful daughters. I wouldn’t be surprised if he were not only the ancestor of Tarzan’s father but of Tarzan’s mother, Alice Rutherford. Perhaps this regular insertion of Carter’s genes into the line is why ERB insists so strongly on the influence of heredity in Tarzan’s behavior. And I point out, as something for you to chew on, that Sherlock Holmes, Professor Challenger, Raffles, Richard Wentworth, Lord Peter Wimsey, and Denis Nayland Smith were all grey-eyed. And, though some were slim, all had very powerful muscles. Could these, together with Tarzan, be descendants of John Carter of Mars? 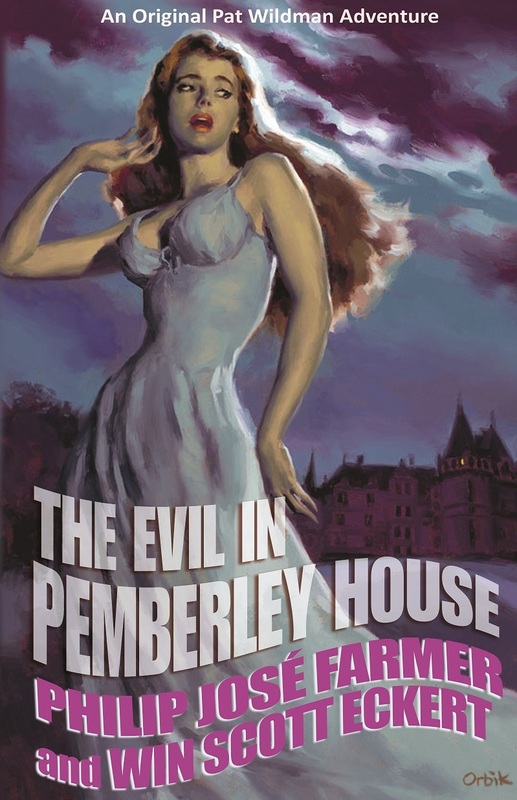 Their relationship, with those of Doc Savage, Kent Allard, Korak, Lord John Roxton, Nero Wolfe, and The Scarlet Pimpernel, will be described in a separate essay. Oh, yes, I almost forgot Bulldog Drummond. As we know, Tarzan’s mother was the Honourable Alice Rutherford. The Honourable indicates that she was the daughter of a baron or a viscount, though ERB does not tell us what the title of her father was. The Rutherfords are an ancient and once-powerful Scots border family. Its name comes from the Old English hrythera ford, meaning wild cattle of the ford. The arms you see here, the wild bull cabossed and the wildman’s head between the horns, are the arms of the lords of Tennington. Internal evidence in THE RETURN OF TARZAN convinces me that Tarzan’s mother was the aunt of the Lord Tennington who married Hazel Strong, Jane Porter’s best friend. The reasons for this conclusion will be given in a separate essay. What he doesn’t say is that he is a relative of Tarzan’s. About all that remains to explain in the arms is the dexter supporter. Aside from its being green, it looks like the usual savage or woodman supporter. Actually, it represents the son of John Caldwell. After his father’s supposed death, the son had to flee into the wilds of northern England to escape the King’s officers. There he adopted a green costume and used a green-painted bow and green arrows. Because of these, he was known as The Green Archer or, sometimes, as The Green Baron. His legend was combined with that of Robert Fitzooth to create the Robin Hood legend. The golden lion skin which he wears here was added by Tarzan to honor Jad-bal-ja. So you can see that the baby born in a little log cabin on the West African coast, raised by apes, naked until twenty and the wearing second-hand clothes, yet came from a lineage few can match and eventually inherited the golden coronet and crimson miniver-edged mantle of a peer of the realm. Before I close, let me summarize the illustrious ancestors of Tarzan. First, the nonhuman founder of his line, Woden, chief god of the Old English tribes. Henry III and through him William the Conqueror and Rolf the Ganger (the Viking who conquered Normandy). Through Henry III’s wife, Alfred the Great, Egbert, and Charlemagne, Charlemagne could trace his ancestry back to Pepin the Short, died 768 A.D.
Also, through Henry III, the Outlaw of Torn and his son, The Green Archer, one of the two men whose exploits contributed to the Robin Hood legend. 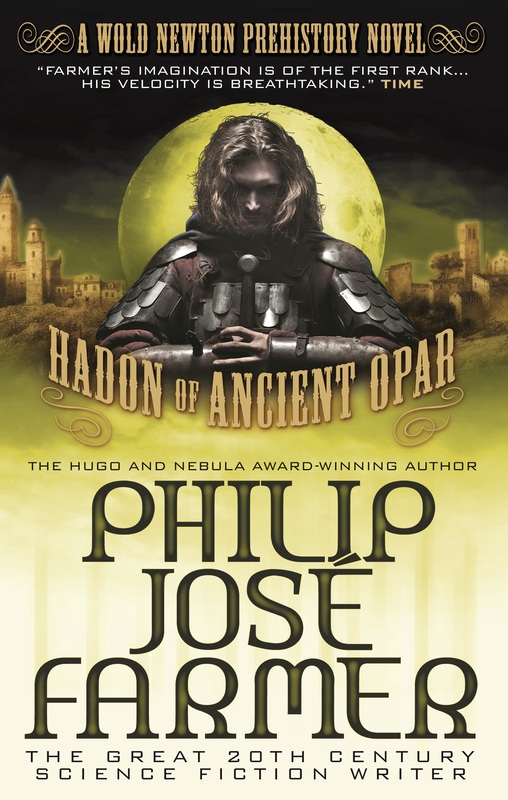 And possibly, many times over, the genes of the Outlaw of Torn, later known as John Carter of Barsoom. Through the Scots Drummond family, Tarzan is descended from Arpad, the Magyar conqueror of Hungary. Through the O’Briens, from Olliol Olum, Irish King, early 200’s. I don’t have time to go into the many other famous ancestors of Tarzan, such as Sir Nigel Loring (whose story is told in Doyle’s THE WHITE COMPANY and SIR NIGEL). Or such as William Marshal, the Earl of Pembroke, who served Richard I and King John and was undoubtedly the greatest warrior of his time and probably of the entire Middle Ages (outside of the Outlaw of Torn). These will be described in detail in the lineage of Tarzan, which will be in my, THE PRIVATE LIFE OF TARZAN. I hope you have enjoyed this visitation into Tarzan a ancestry via his coat-of-arms. 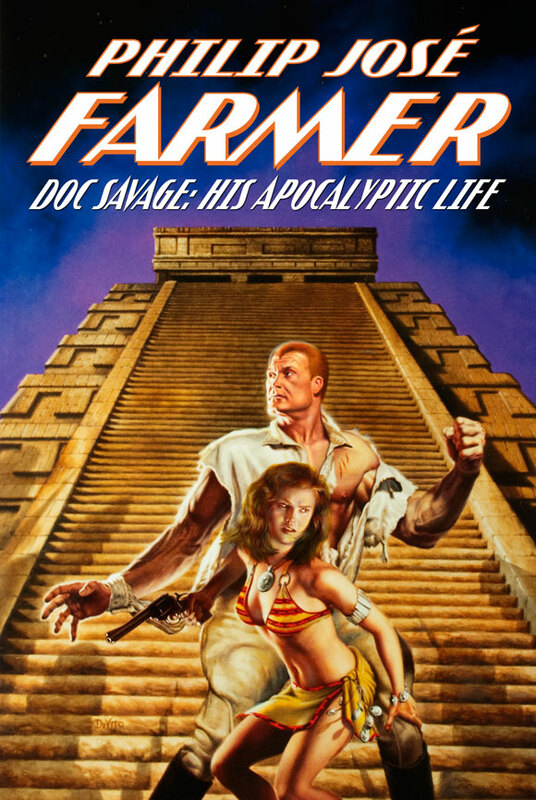 The title of the book, when published, was Tarzan Alive. “The Arms of Tarzan” copyright © 2015 by The Philip J. Farmer Family Trust. All rights reserved.